A loan of $2,900 helped a member to buy clothes, bags, and footwear for resale. This is 47-year-old Sibongile (raising her hand) from Masvingo, a town in southeastern Zimbabwe. She is married with four children; two attend school. She also cares for two dependents. Sibongile runs a flea market business selling clothes and footwear. The business has been in operation for 7 years. She says the main challenge faced is lack of working capital. Sibongile has requested a loan of $400 to buy blouses, tracksuits, bags, and boots. She says the extra income generated as a result of this loan will allow her to improve the family's general welfare. In the future Sibongile plans to operate a retail outlet. MicroKing's loans are guaranteed against institutional default (failure of MicroKing to repay Kiva lenders if the borrower repays MicroKing) by MicroKing's parent company: Kingdom Financial Holdings Limited. More About MicroKing This loan is administered by MicroKing Finance, Kiva’s first partner in Zimbabwe. 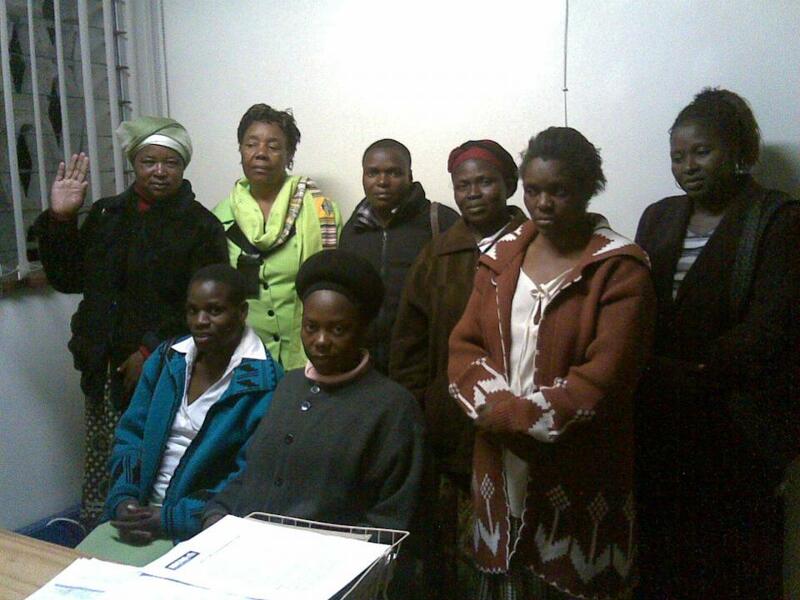 Zimbabwean micro-enterprises are generally run by women and comprise a multitude of business types. Constraints on local production and manufacturing capacity have led to cross-border trading being the most common type of business. Kiva funding has the unique potential to drive further expansion of the MicroKing portfolio in a deeply underserved market in Zimbabwe. Because many Kiva loans at MicroKing are offered to group borrowers, they are reaching a more vulnerable segment that cannot yet access individual loan products. Further, these loans have beneficial characteristics, such as a lower interest rate, a longer loan term and greater flexibility due to a grace period for repayment.